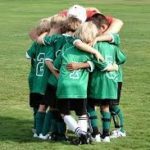 Finding the right teams, coaches, private training, and equipment are important tasks for sports parents as they strive to help their kids reach their potential in sports. But as parents do all these things for their young athletes, I fear there is one important factor that they may be overlooking, and that is the part that they themselves play in helping their kids succeed. As a parent, your behavior is crucial; all the expensive equipment and elite teams cannot replace the impact that you have on your child’s performance and production. Start with focusing on these two facts and see how it helps your child in the game. #1 Sports parents are not responsible for their child’s happiness and success. This type of thinking drives parents to take control, fix their child’s problems, fight their child’s battles and chart out, in great detail, their child’s path. Parents, that is not your job. When you accept that you are not solely responsible for your child’s happiness and success, that some of that responsibility is your child’s, you will not only lift a great burden off of yourself; you will also allow your child the freedom to choose, explore, and grow strong as they learn to fight their own battles. Your job is to support, encourage, challenge, and love your children as they discover what activities they do and do not love to participate in. #2 Your child’s success is not dependent on the immediate. Parents are always looking for the next best thing to help their kids get the upper hand in sports. Maybe it’s finding the most elite team, the most proven private coach, or the successful mindset coach. These things will all help your child, no doubt. Kids need coaches and mentors to help them reach their potential, but these immediate things will not have the biggest long-term impact on your child. Who YOU are as a parent will ultimately be the biggest influence on your child’s success. And that means that YOU must pay attention to your own attitudes and your own self-care. It means that YOU must handle youth sports challenges in a healthy way so that your child can do the same. Raising a champion begins at home, not in the dugout or on the sidelines. You, mom and dad, are the ones that ultimately add or subtract from your child’s success.